I like to think that I have many interesting little thoughts. Unfortunately, I do not have anything interesting to write a whole blog post on today. I refuse to blame derby or work or my family and friends—therefore I shall now blame the weather. Curses to the clouds for making me sleepy! So how, things that have made me happy lately. On Tuesday, I needed lunch but for some reason could not bring myself to eat the leftover Curry Cauliflower and Chickpeas I had in my work fridge. 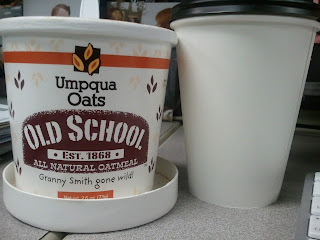 Instead, I paid $6 at The Filling Station in Westport for oatmeal and a small plain skim latte. While I should not make a habit of this, it was the best decision I made all day. Yum. It has now been well more than a year since my ACL surgery, and my knee feels better than I thought it ever would. As I put on four-inch stilettos to go to my office Christmas party at The Capital Grille, I thought about how grateful I am for the incredible health care I was able to receive. 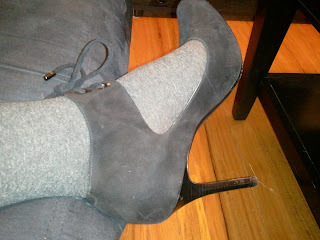 Related: these shoes make me very happy. Check out this incredible gift from my derby wife, LL Kill J of the Royal Pains! 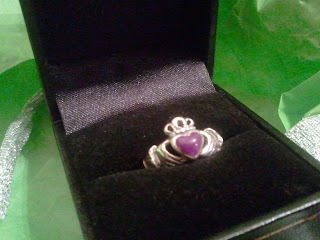 There's purple, a heart, a crown... everything a derby wife gift should be. Now I feel like a chump because I haven't yet come up with something equally awesome to give her for Christmas. 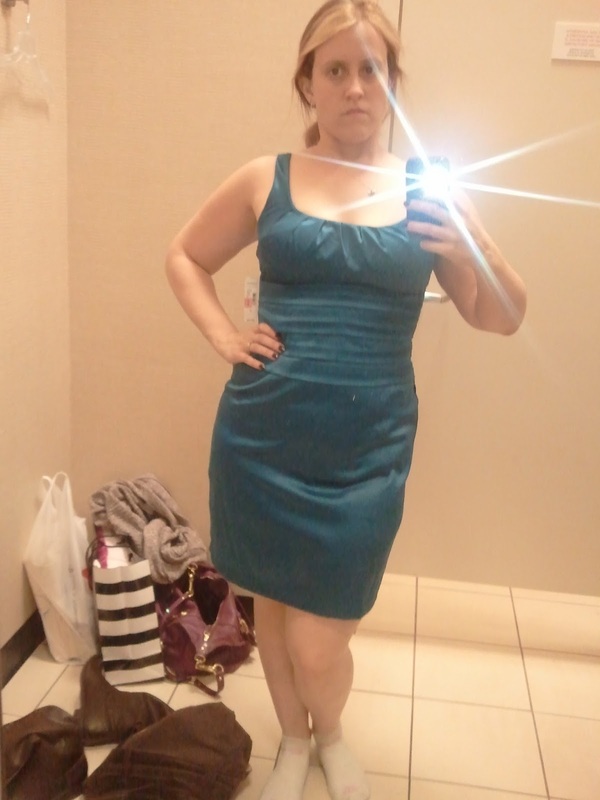 Before the holiday party last week, I was really bummed because none of the dresses in my closet seemed to fit the way I wanted them to. All the time I read articles that say women shouldn't worry about bulking up if they work out because women don't really do that. I'm sorry, but derby girls must not be included. My "guns" don't fit in my coat or jacket—seriously tight arms. My thighs are rock-solid, yet stretching my pantlegs to their limit. Even the ab muscles I'm super-proud of are rejecting my current wardrobe. Although I did not end up buying this dress (crappy snagging fabric) I snapped a photo to remind myself that all this exercise is totally worth it. Vainly, I must say that my body has never been better. What has brought some happiness into your life recently?